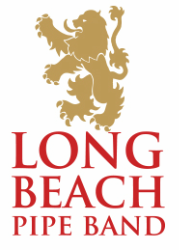 The Long Beach Pipe Band is a non-profit, competitive bagpipe band, based in Long Beach, CA. The band competes throughout the year in the Western United States. The band wears the Prince Charles Edward Stuart tartan. We practice at 9am on Saturday mornings at Veterans Stadium, Long Beach City College. For more information on the band's history, it's competition schedule, available services, etc... Click the link below. The band is looking forward to making it's 2019 start at the Queen Mary Games, February 16 & 17. Hope to see you all at the games!